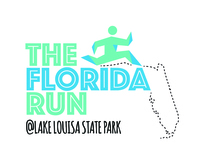 Lake Louisa State Park, famous for its six beautiful lakes, rolling hills and scenic landscapes is the setting for The Florida Run. 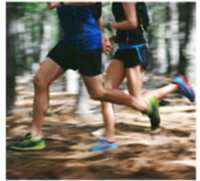 Located in Central Florida the course will take runners on paved surfaces, dirt trails, grass trails and some sand. You will run through old orange groves, pine trees, by creeks and around lakes. You may even have the opportunity to see equestrian riders, wild turkeys, deer and other wild life. The beauty and challenge of this race is what keeps people coming back as we entertain kids, walkers and competitive runners. All 3 races will start and end at the parking lot near the water front beach of Lake Louisa. 5K is 40% road 60% trail and flat. 10K course is 70% trail 30% road. You will encounter the rolling hills around miles 3 and 4. Half Marathon course is 50% trail 50% road. Like the 10K you will hit the rolling hills around miles 3 and 4. We are proud to work with SportStats Timing & Results Company to provide professional chip timing for our Half Marathon, 10K and 5K athletes. Awards will be given to the top 3 overall winners for men and women in the Half Marathon, 10K and 5K, and the top three finishers (men and women) in each age group (5 year age groups) for the Half Marathon and 10K. Half Marathon and 10K athletes will receive a custom bib, shirt and finisher medal. Post race food will be provided for all participating athletes. Lake Louisa will be charging a $5.00 entry fee. Your entry fee goes to support park operations in Florida’s 161 award winning state parks including habitat restoration and maintenance of our many facilities. Lake Louisa State Park boasts 60 campsites, 20 cabins, 2 primitive campsites and equestrian/group camping facilities.